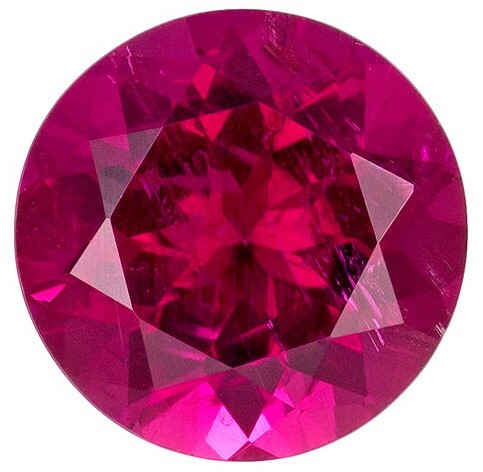 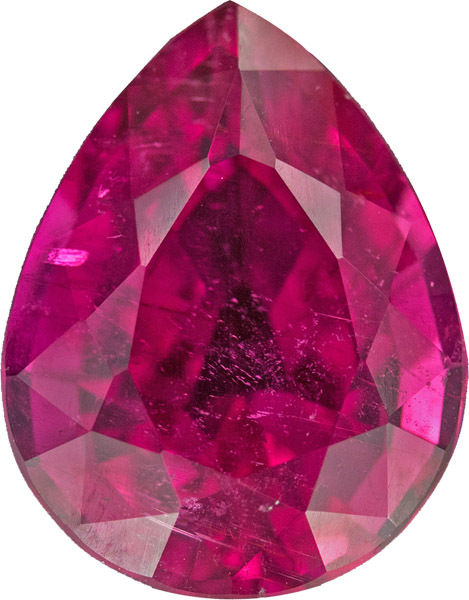 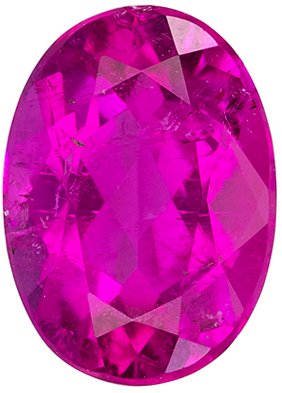 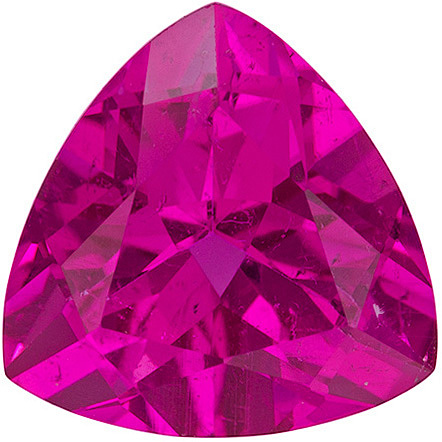 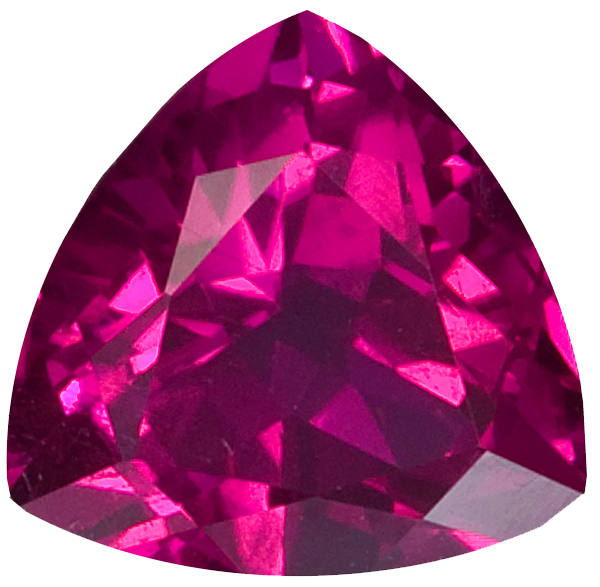 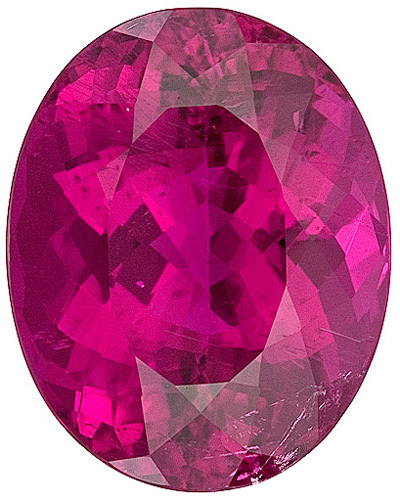 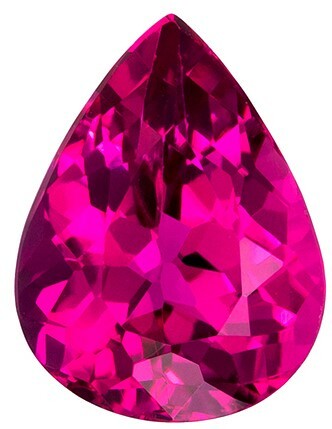 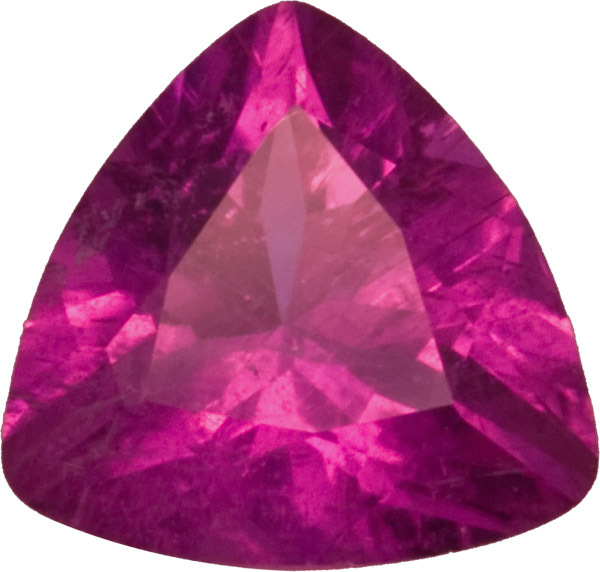 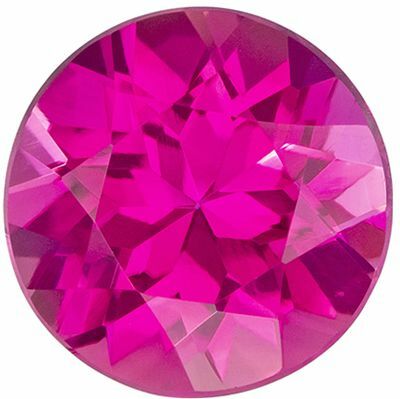 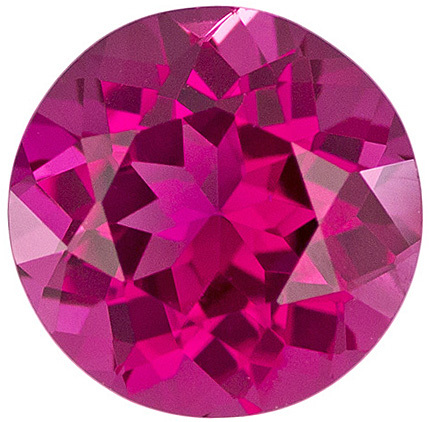 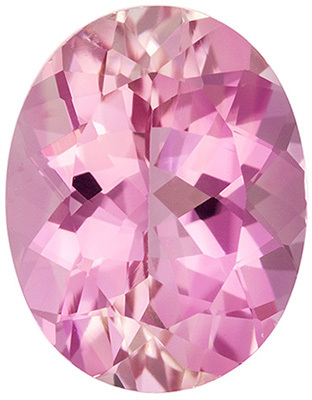 Intense Fuchsia Pink Round No Heat Tourmaline Gem, 7.0 mm, 1.25 carats This Genuine Tourmaline Gemstone Displays A Vivid Intense Fuchsia Pink, Excellent Clarity, Cut And Life. 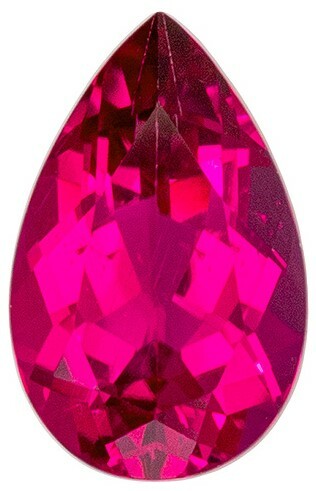 A Beautiful Vibrant Stone In A Hard To Find Size. 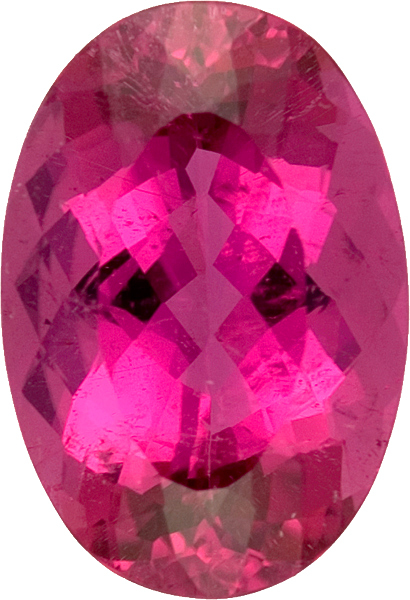 Super Lovely And Bright.Note For A Personal Detailed Description Of This Beautiful Tourmaline You. 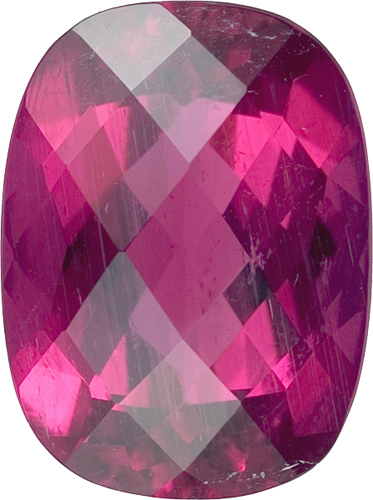 This collection of rubelite tourmaline gemstones and raspberry rubelite tourmaline gems is very impressive. 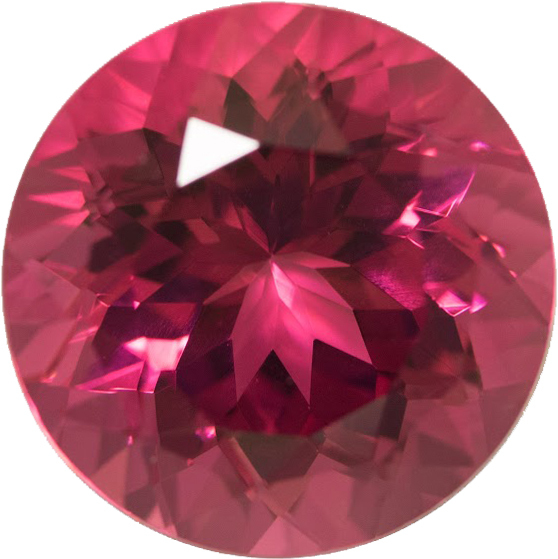 These loose faceted rubelite and raspberry tourmalines possess top colors, are impressive in size, and have excellent clarity and perfect cutting. 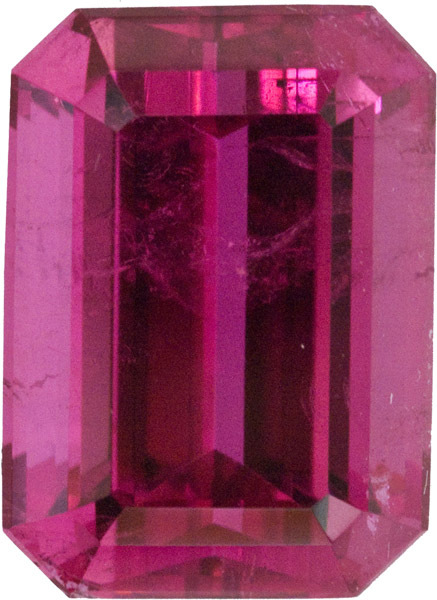 I purchased all of the rough tourmaline and had all the tourmaline material cut and polished in the USA to exceptional cutting standards. 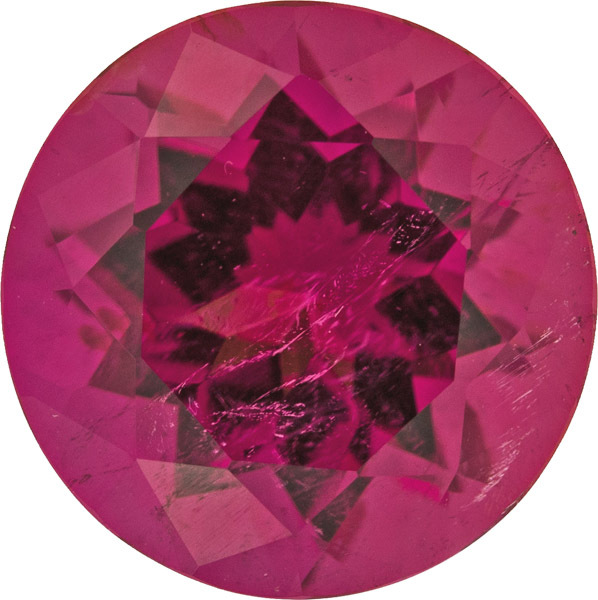 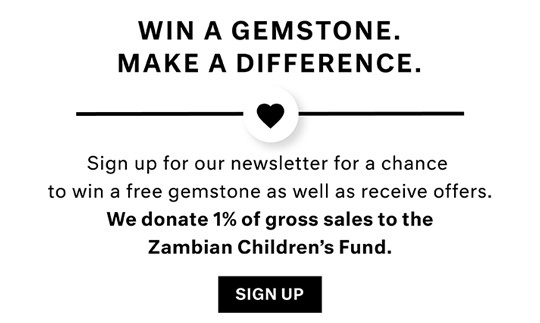 The rubelite and raspberry rubelite tourmalines were all born in Zambia and are from the famous multi colored tourmaline deposit of eastern Zambia that was featured in a Gem & Gemology article. 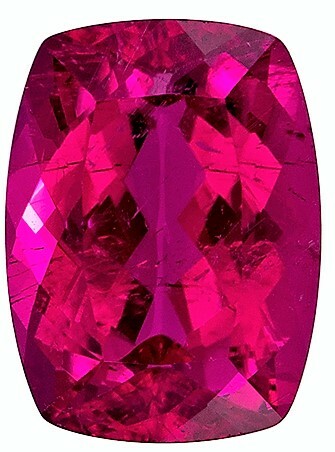 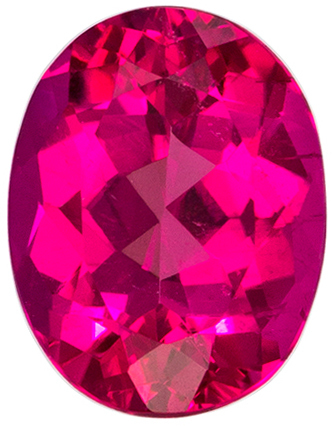 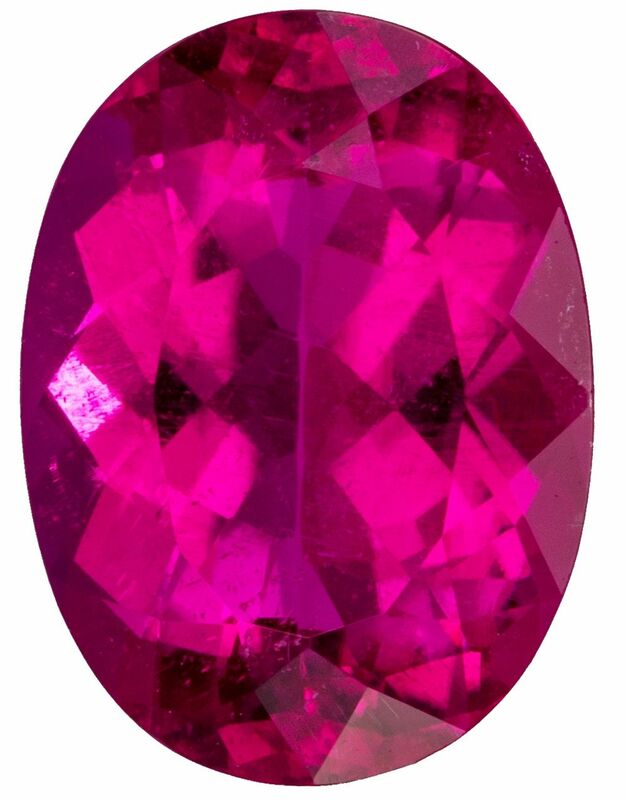 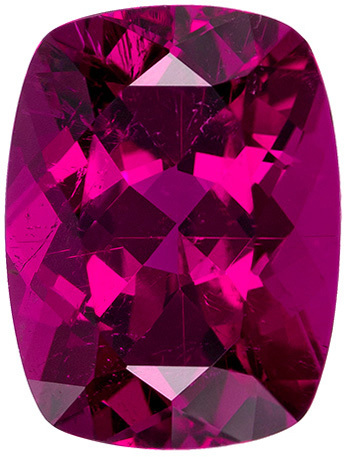 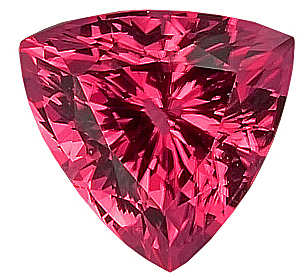 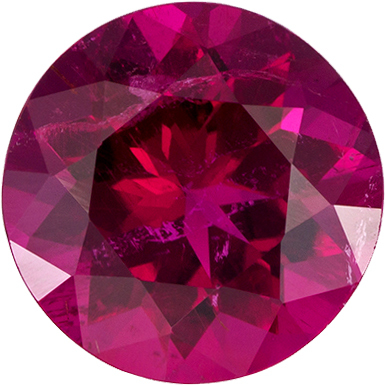 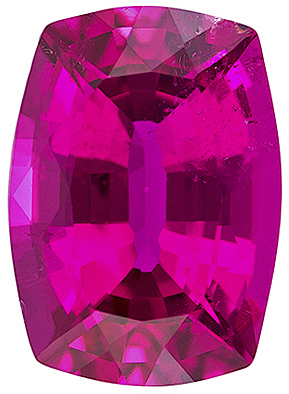 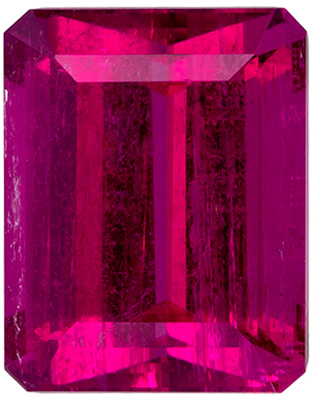 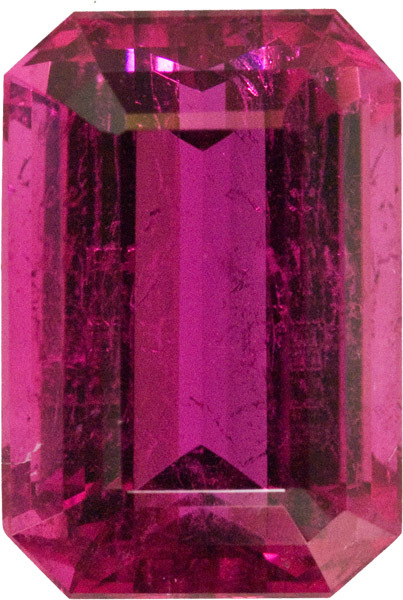 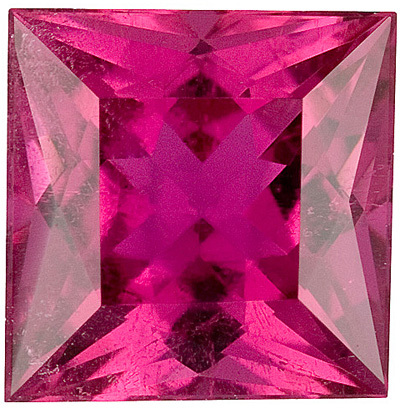 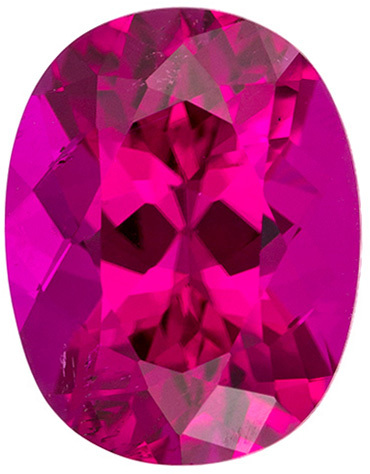 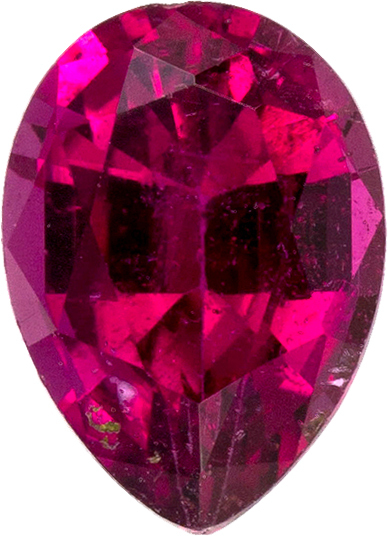 Rubelite tourmaline is the common trade name for any tourmaline that has a predominate red color. 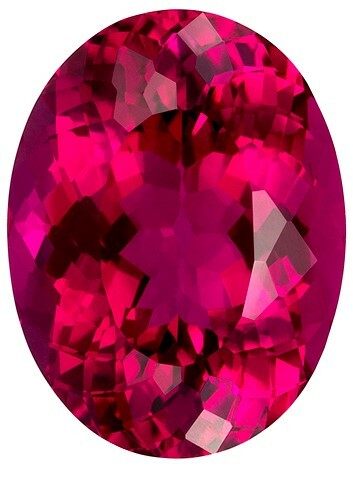 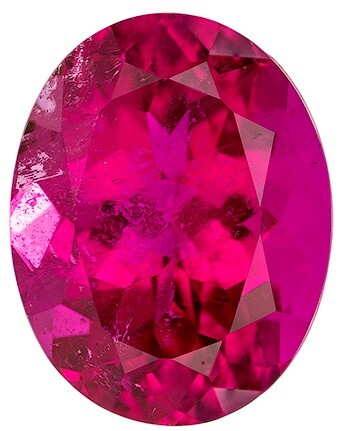 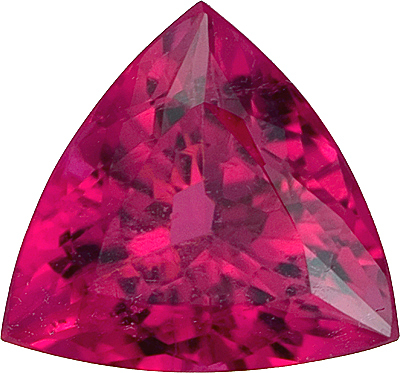 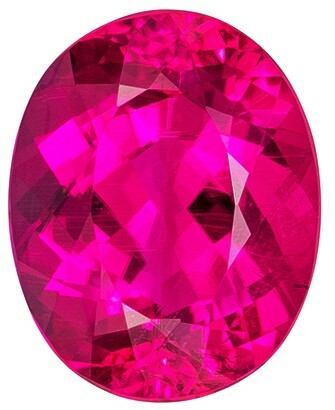 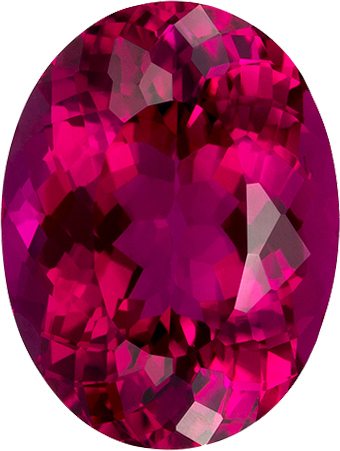 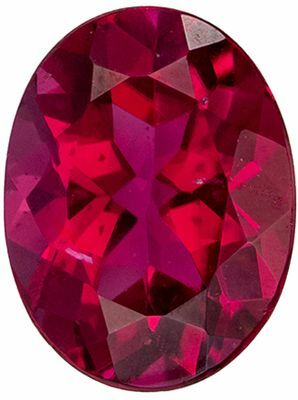 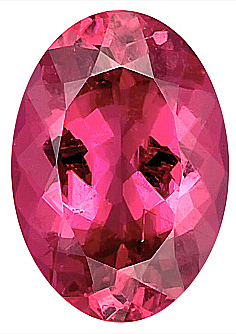 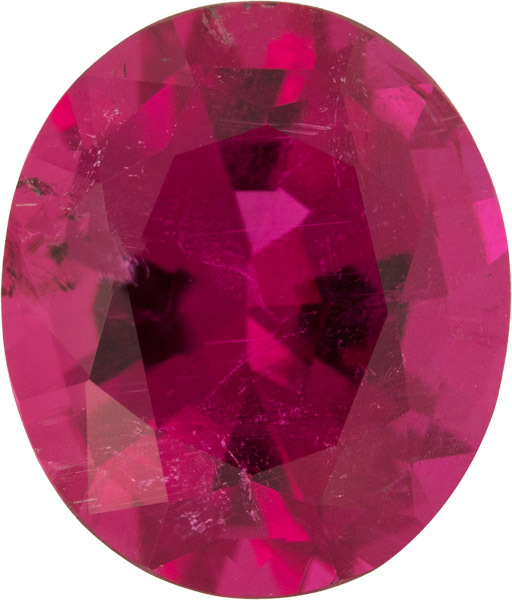 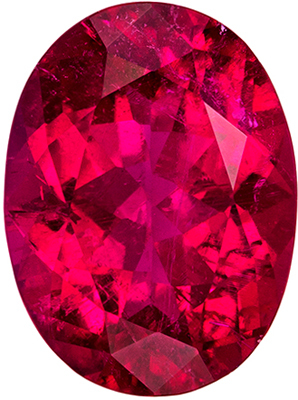 The finest rubelite tourmalines have a very bright red color and make very impressive gemstone jewelry. 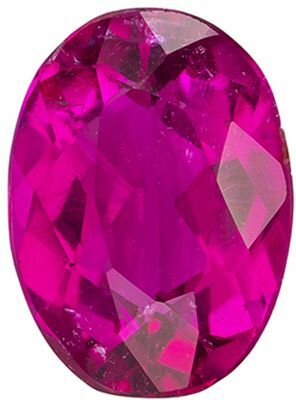 It is acceptable for rubelite to have inclusions as long as they don't detract from the brilliance of the gem. 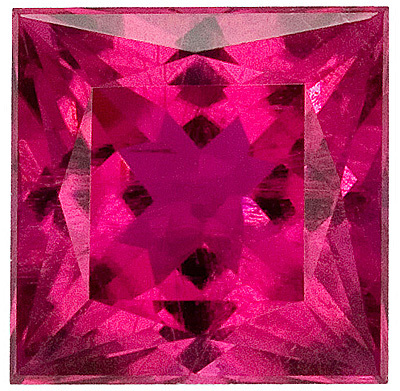 I have called some of the rubelite tourmalines, rubelite raspberry tourmalines to denote the lavender-pink undertones in these gems. 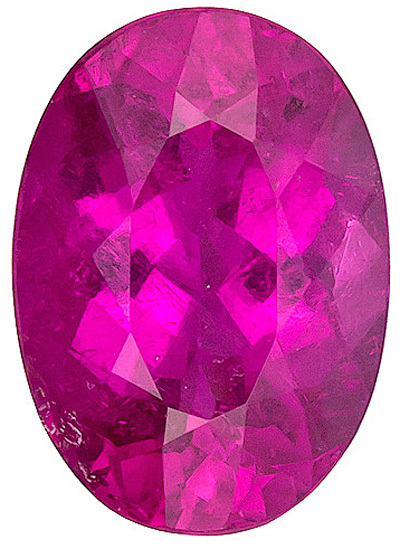 These gems have very pleasing undertones of lavender that gives it an overall "raspberry" color.